Danielle Boucher, L.Ac. 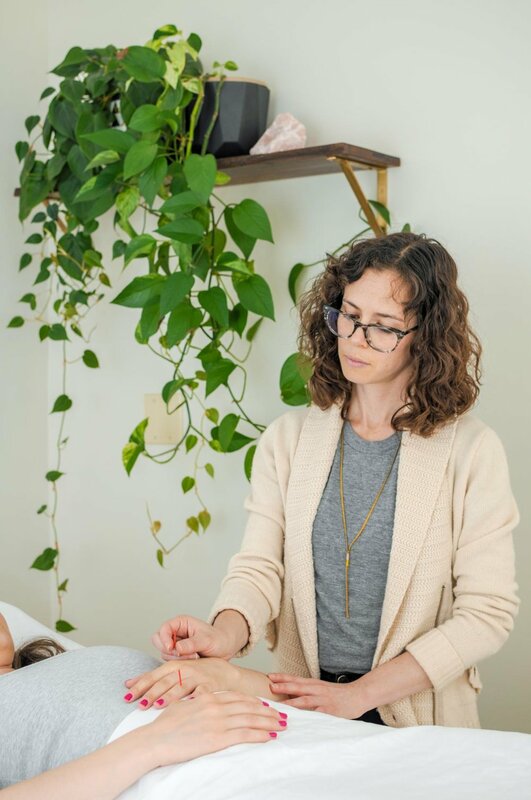 is a licensed acupuncturist in California, who was drawn to Chinese Medicine because of its holistic approach and ability to see the interconnectedness of an individual’s symptoms. She is a general practitioner with a special interest in orthopedics and sports medicine, women's health and hormone balance, stress management, and digestive issues. She has advanced training in the diagnosis, assessment and treatment of sports injuries and pain. Danielle partners with Integrative Fertility assisting women undergoing assisted reproductive therapies by providing onsite acupuncture treatments before and after IUI or IVF transfers. Danielle currently volunteers as an acupuncturist at the Charlotte Maxwell Clinic providing free treatments to women with cancer. She's also been to the Peruvian rainforest twice with Project Buena Vista. Their medical outreach teams provide free acupuncture and herbal medicine to local communities with minimal access to healthcare. Danielle continues to work with Project Buena Vista as their alumni leader. When not practicing acupuncture, Danielle can be found out in nature hiking, practicing yoga, reading, and fighting for social justice.